Indian food lo one of the most staple food roti inka curry. Daily diet lo manam roti ni whole wheat flour tho cheskuntam inka konni sarlu refined flour or maida tho cheskuntam. yekuvaga manaki wheat flour inka maida lo difference telidhu inka ee rendo flour two different substance tho vasthundi ani anukuntam , kanni ee rendo flour wheat grains tho ney chestharu, just that valla processing lo chala difference untundi. 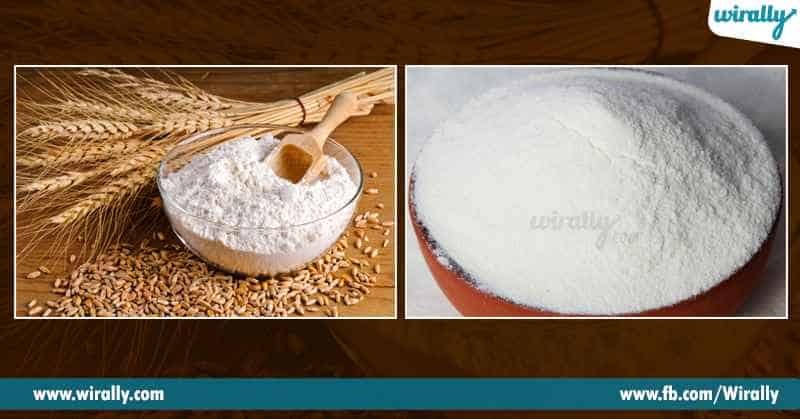 Wheat flour lo unna essential nutrients inka poshakalu madia / refined flour chala thakuvaga untundi andhukey chala varaku daily inka regular diet lo whole wheat flour ney prefer chestharu. 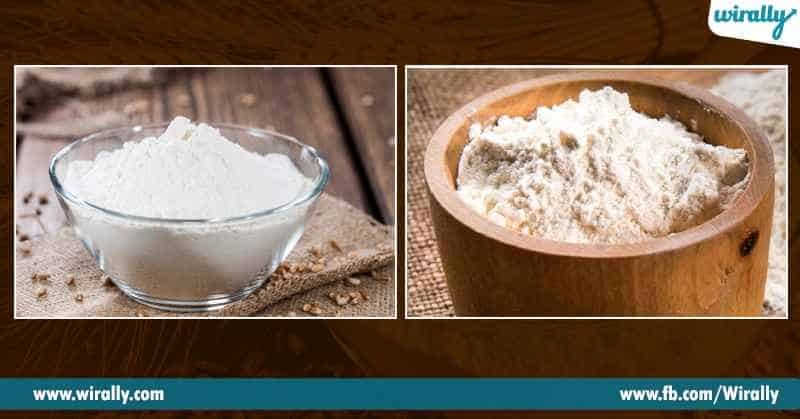 Wheat flour: Whole grain wheat ni grind chesthey wheat flour or atta ready avuthundi. 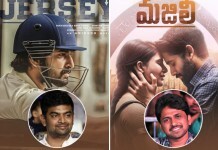 Ee flour koncham yellowish , light brown colour lo untundi. Dintlo body ki kavalsina essentials nutrients inka protein content untundi. 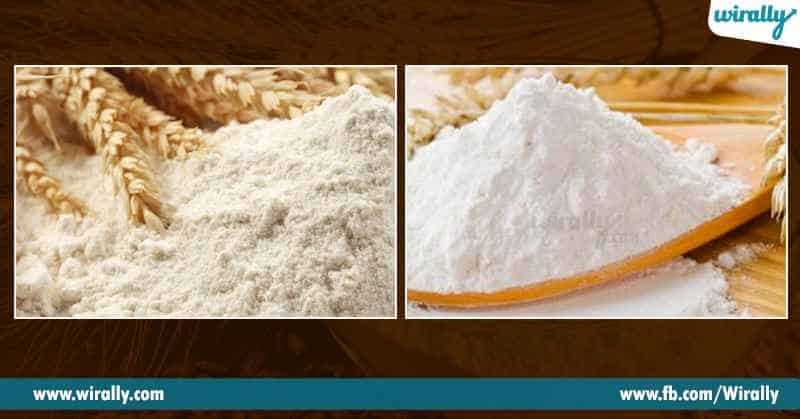 Refined flour or maida: Whole wheat flour ni complete ga refine chesi dhantlo unna hust inka bran ni spate chesthey complete refined flour leda maida ready avuthindi. 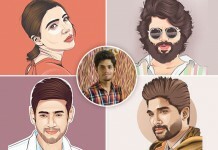 Husk lo unna fiber inka bran lo unna poshakalu maida lo wash out avuthai . eela wheat flour miada kanna healthy. 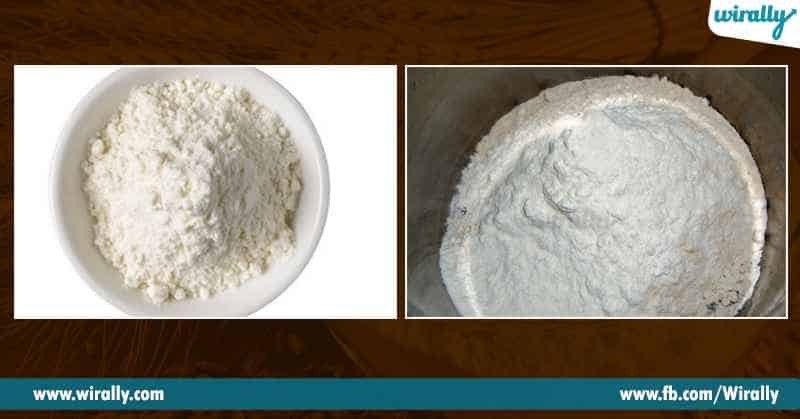 Fiber content: wheat flour lo maida kanna yekuva fiber untundi. 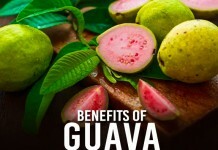 Fiber rich food tintey body health problems ni treat cheyadaniki help chetshundi . constipation problems ni treat chesi, blood sugar levels ni maintain chesi weight loss ki help chesthundi. 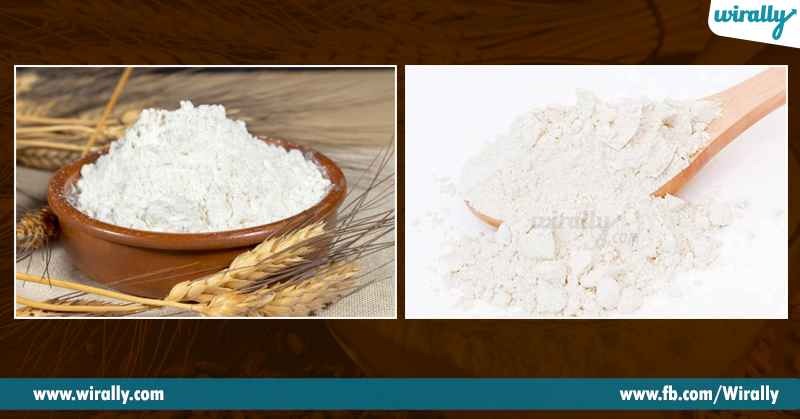 Better health: wheat flour lo unna fiber , minerals inka vitamins wheat flour ni maida kanna healthy ga chesthundi. Maidi lo emi undadhu empty calories ani antaru. 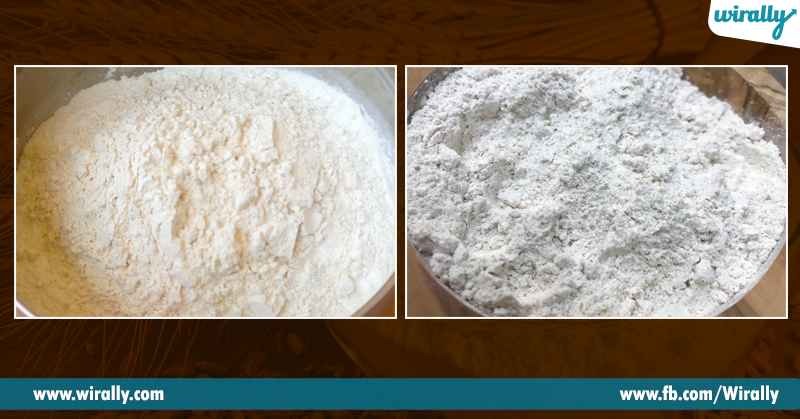 Chemical bleached: Madia ni chemical bleach chestharu andhukey maida milky white inka smooth ga untundi, kani wheat flour ni chemical bleach cheyaru. 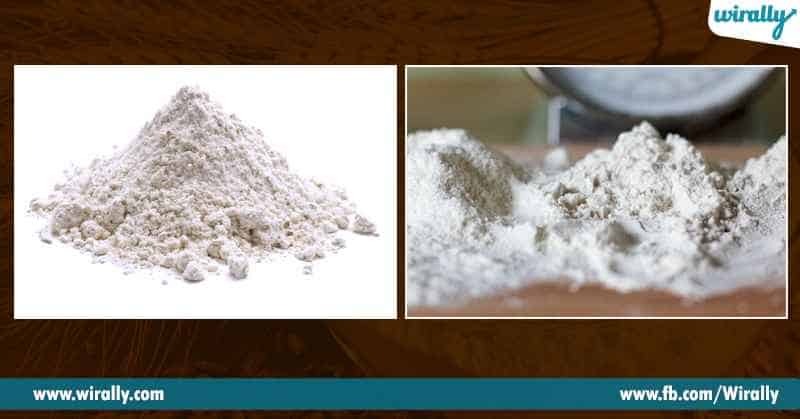 Different preparation: rendo wheat flour inka miada wheat grains nunchi osthai, kani wheat flour simple wheat grains ni husk inka skin tho grind chesthey osthai adey maida complete refining process chesi husk inka skin ni remove chesthey osthundi. 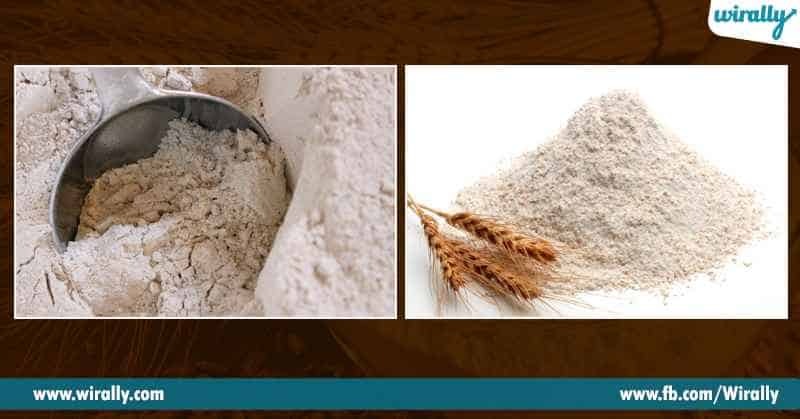 Nutritional content: whole wheat flour lo power pack nutrients untai. Dintlo folate, riboflavin, vitamins B1, B3 inka B5 lanti poshakalu labisthai. Maida lo zero nutitonal value untundi, ye grains ni refine chesthey a grains lo nutritional values complete ga thagipothai. 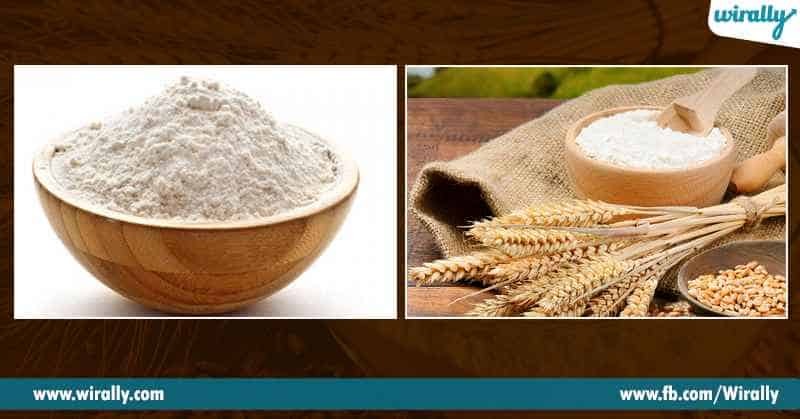 Treating common aliments: wheat flour lo unna amino acids inka anti-oxidants body ni relax chesi common aliment problems e anxiety, insomnia, headache inka depression lanti problems ni treat chesthundi. 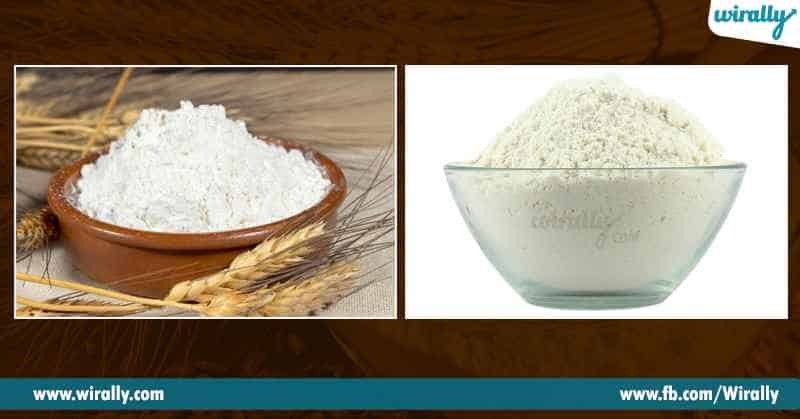 Glycemic index: maida lo wheat lo flour ki compare chesthey high amount glycemic index untundi. Ee glycemic index body lo unna sugar levels ni high chesi insulin inka sugar levels ni imbalance chesthundi. 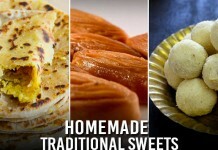 Different uses : Maida or all-purpose flour ni cakes, cookies, pastas, noodles, muffins, inka naans cheyadaniki use chestharu whereas wheat flour ni rotis, puris inka sweets cheyadaniki help chestharu. Gluten : Maida lo wheat flour kanna gluten portion yekuva ga untundi.